A tied first-round series shifts to Washington as the Capitals host the Hurricanes for Game 5. Sen. Kirsten Gillibrand will bring San Juan Mayor Carmen Yulin Cruz as her guest to Tuesday's State of the Union Address. "I hope Mayor Cruz's presence at #SOTU will remind the president and my colleagues in Congress of our urgent responsibility to help Puerto Rico fully recover and rebuild,” Gillibrand tweeted Monday morning. Cruz, who Gillibrand described as having “shown extraordinary leadership and fearless advocacy for her city,” has been critical of the Trump administration’s response to the damage Puerto Rico sustained when it was hit by Hurricane Maria last September. 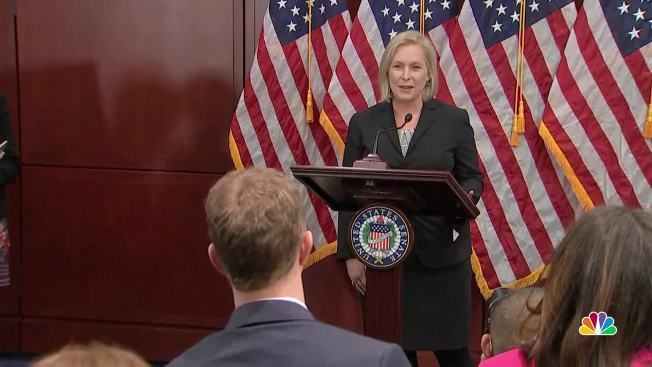 Gillibrand, a Democrat, has also been a vocal critic of the Trump administration.